The 2018 Football World Cup in Russia is just around the corner and #Mercedes-Benz makes sure everyone knows who its favorite TEAM is. 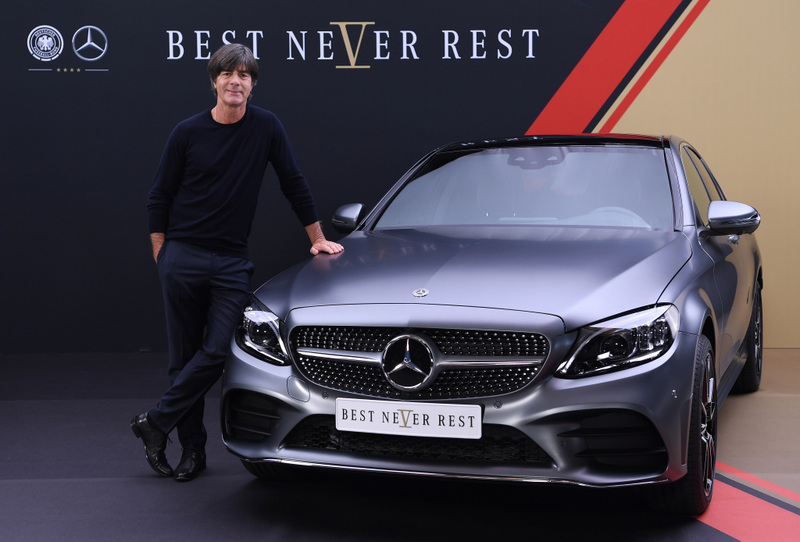 Around three months before the opening game on 14 June in Moscow, Mercedes-Benz is rolling out the “Best Never Rest” campaign which supports the German national football team, known as THE TEAM. National coach Joachim Jogi Löw (Germany) in the Mercedes-Benz C-class. During the soft launch from 21 March to 25 May 2018, the focus will be on the brand and team on social media (campaign branding, moving-image formats on “The next star for Germany”). The stadium communication (advertising boards, cam carpets, centre-circle onserts) starts with the Germany versus Spain match on 23 March in Düsseldorf. That is when the players will appear for the first time wearing the anthem jackets branded with the campaign motto. The team bus and team vehicles will be adorned with the campaign claim from this point in time. 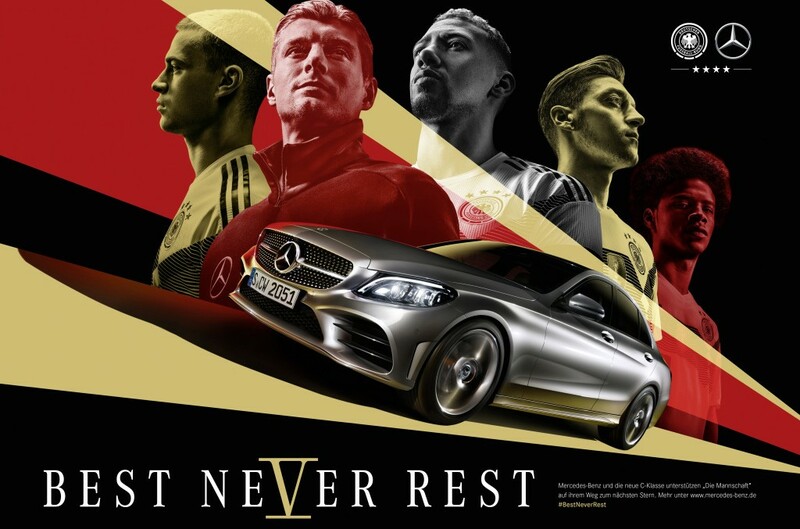 In its social media communications, Mercedes-Benz is using measures such as sponsored trends with a first-view option on major sporting days such as on all those with the DFB team’s World Cup games. The individual package developed with Twitter Germany enables every Twitter user in Germany to encounter campaign content immediately when opening the app. From May up until the Final the communications will be stepped up with TV advertisements, out-of-home advertising and point-of-sale activities, with the vehicles and players dominating the motifs. Dilemma: Mercedes-Benz 600 W100 for the price of a new Mercedes-Maybach?